The White House’s decision to authorize troops to use lethal force at the border was met with much criticism. There was also no consensus on the order with Politico reporting Team Trump was divided on the issue. The alleged dissenters were Chief of Staff John Kelly and DHS head Kirstjen Nielsen. The duo frequently find themselves at odds with Trump’s more aggressive advisers like Stephen Miller and Chris Crane. Kelly and Nielson reportedly engaged in a fierce debate with Border Patrol chief Brandon Judd, Miller and Crane. Apparently, Defense Secretary, James Mattis, was also unaware that this type of decree would be delivered. Kelly and Nielsen were particularly upset about how they were tied to the order. Kelly’s signature was used to authorize the declaration while Nielsen is vested control of the military action. The authorization of lethal force can be seen as another White House win for adviser Stephen Miller. Miller was seen as the architect of the controversial family separation policy. Kelly and Nielsen, who are seen as tied at the hip, continue to have a contentious relationship with Trump’s inner circle. 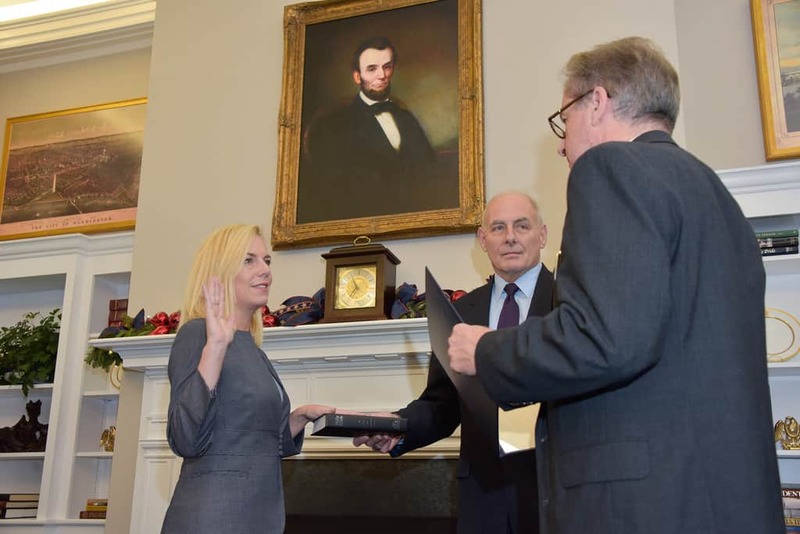 Both Kelly and Nielsen are expected to leave the White House soon.